Since I use AWS at work, I wanted to try something else for my personal workstation (this is basically a tmux jumpbox for me). Very similar, the main difference is that Digital Ocean has a $5/month instance for 512mb/20gb/1core. Both offer 1gb/30gb/1core for $10/month. Both use SSDs (yes!). Digital Ocean uses a wizard style startup, so it was obvious what to do. Linode was not a wizard, but it was pretty easy to guess where to go next. 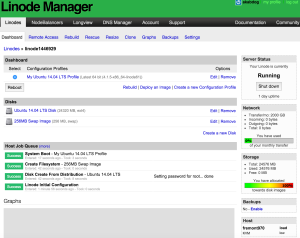 Creating an instance and then loading an OS is a two-step process on linode, instead of one. 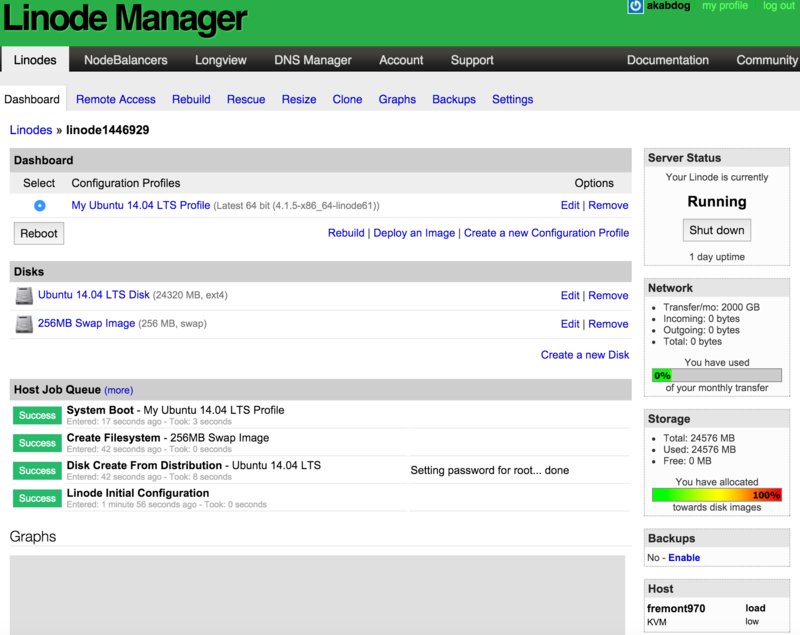 It seems like linode has a few more features (more OS support). I didn’t investigate this too much. Both offer console access if you get locked out, although the linode console didn’t work for me. This was important to me, as I often shuffle things from place to place with SCP. Digital Ocean won this hands down for beauty factor and simplicity. Update: I started getting seg faults with apt-get and noticed I was out of memory. It’s an easy fix to add some swap https://www.digitalocean.com/community/tutorials/how-to-add-swap-on-ubuntu-14-04 . Disclaimer: I am not paid or affiliated with either of these companies. Posted by admin on Friday, November 6, 2015, at 4:10 pm. Filed under Uncategorized. Follow any responses to this post with its comments RSS feed. You can post a comment or trackback from your blog.